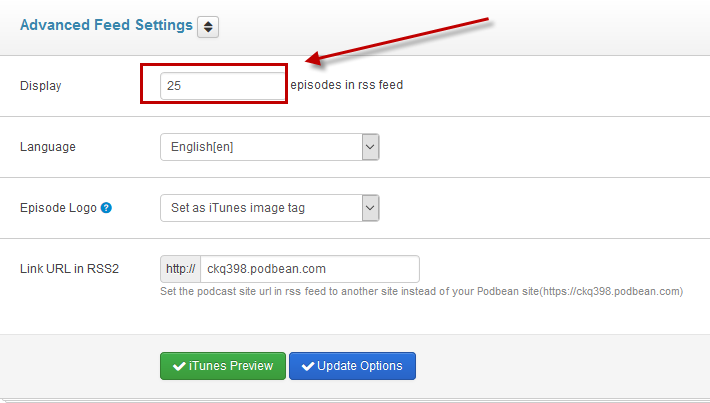 You can set the number of episodes to display in your RSS feed in your Podbean settings. This dictates how many episodes are shown in iTunes and other podcast apps. Change the episode number in the Settings->Feed/iTunes-> Advanced Feed Settings page in your Podbean account. When you change this, iTunes will update your feed in a couple days.